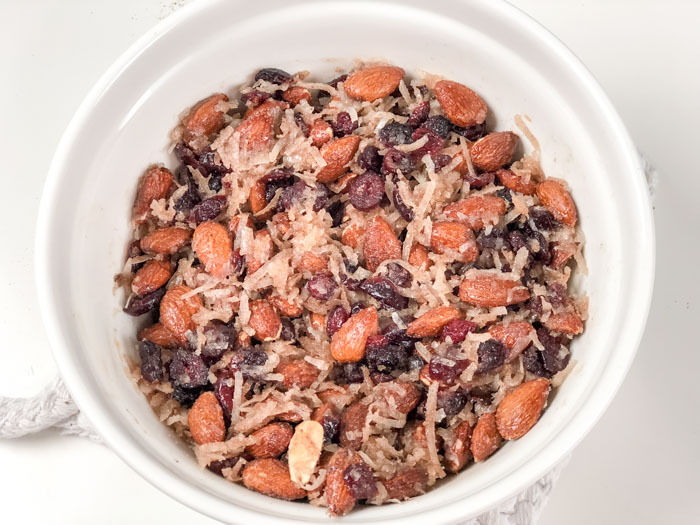 This recipe is based with almonds, which are an amazing super-food. Almonds are high in protein, healthy fats, and nutrients! You can read more about almond nutritional facts here if you’re interested. 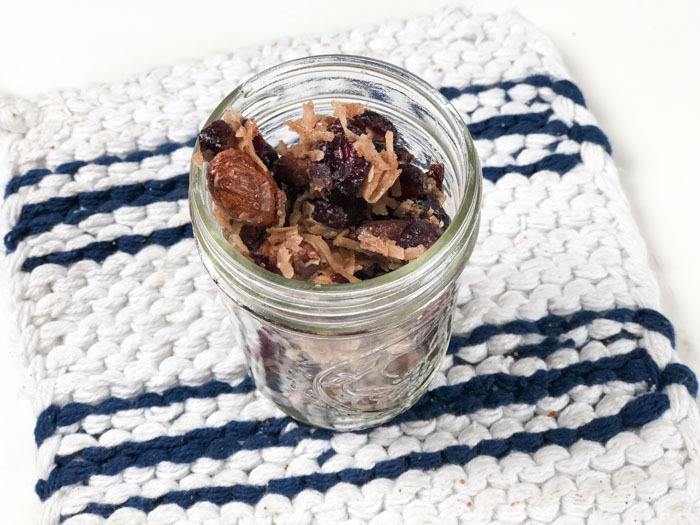 The sweetness of this trail mix comes from the cranberries and coconut, and Swerve, so you aren’t even needing to add sugar or honey! 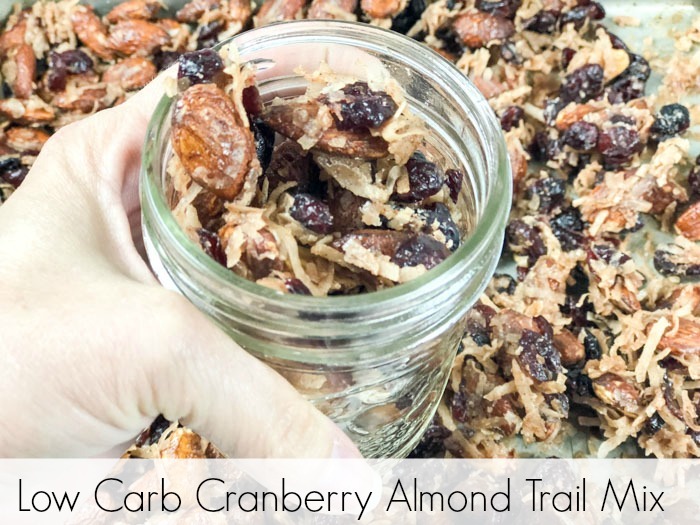 I tend to enjoy a sweeter trail mix, since it can double as a dessert or to sooth a late evening sweet tooth. 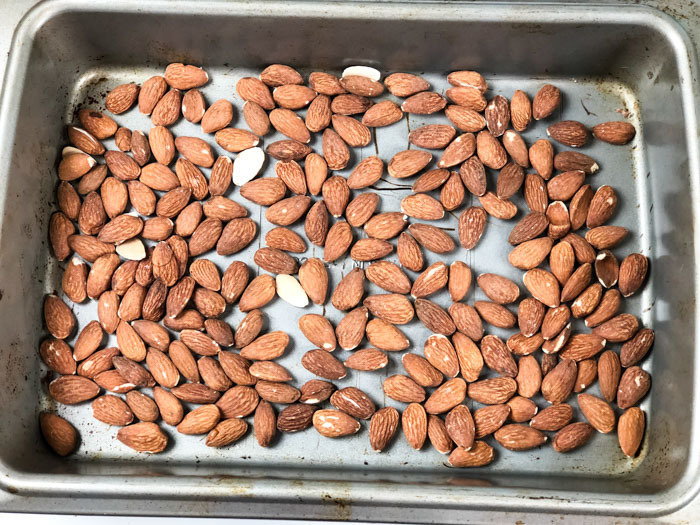 I roasted my almonds on a cookie sheet. If you prefer, you can get a silicone liner here, which over time will pay for itself since you won’t need parchment paper. After your ingredients are mixed and you’re ready to bake the entire mix, spread evenly on the same cookie sheet and bake for an hour. 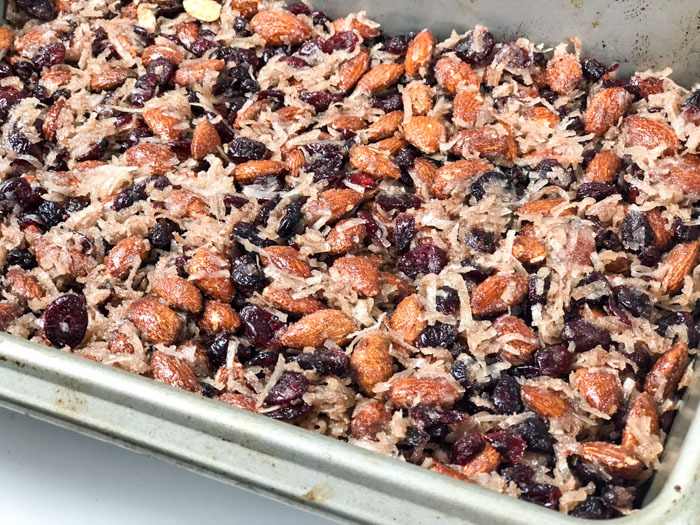 I do open the oven and stir the ingredients on the tray a few times, so all sides of the trail mix can get a nice even crispiness. 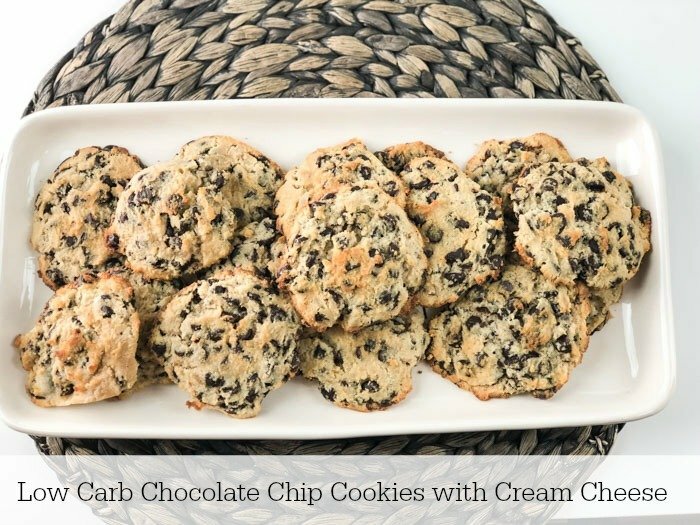 Let cool and break up any larger chunks of the mix if needed, and enjoy! 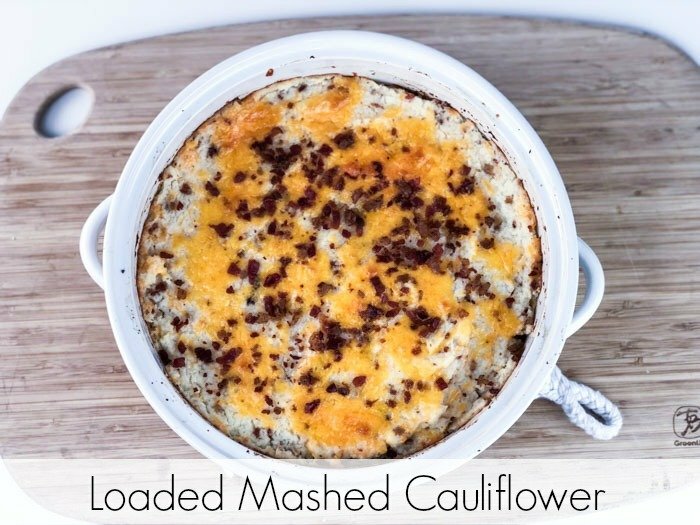 This would be a great fall (football) snack too! 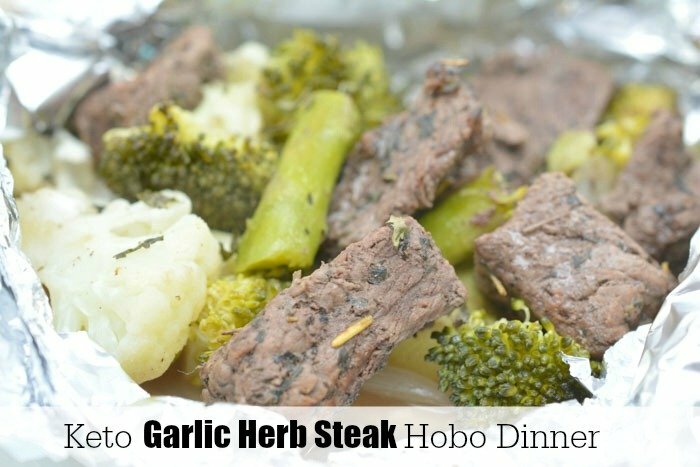 Try this Keto Garlic Herb Steak Hobo Dinner for a family weeknight dinner. Cleanup is easy with these foil packs!